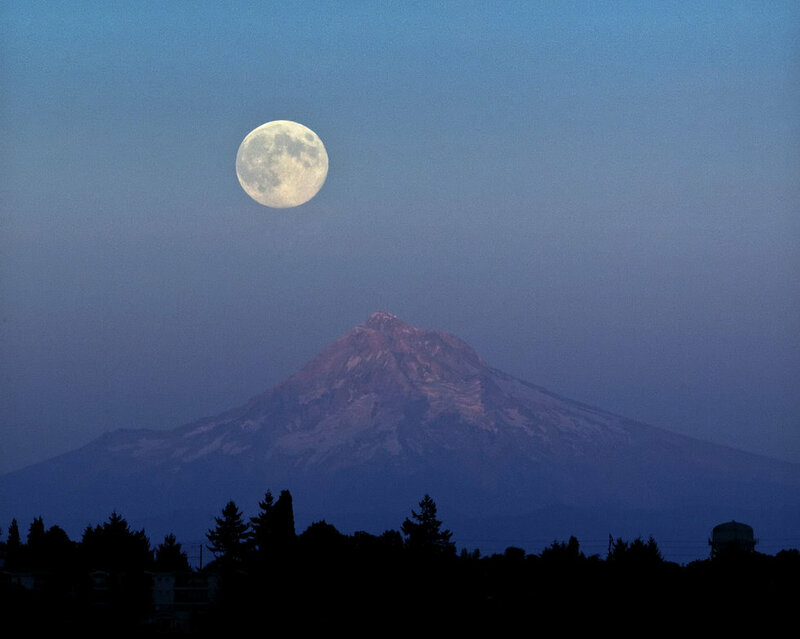 Approximately every 33 months you will witness a “blue moon.” No, the moon won’t turn sapphire, it is a phenomenon that takes place when there are two full moons in the same calendar month. The term “once in a blue moon” has historically had a number of different meanings. The exact origins are unknown but thought to be a recognizable phrase for more than four hundred years. An older definition according to the Maine Farmer’s Almanac, a “blue moon” occurs when there are three full moons in a season (winter, spring, summer or fall); but there is a very rare occurrence when enough high altitude particles, from a volcanic eruption, ice crystals or forest fire, are in the air that does actually give the moon a blue-ish cast. If 3 am is too early (or late) for you, you can see 99% of it again Friday night at 8:35 pm (PST) but don’t miss it, the next blue moon will not show it’s face until 2018. 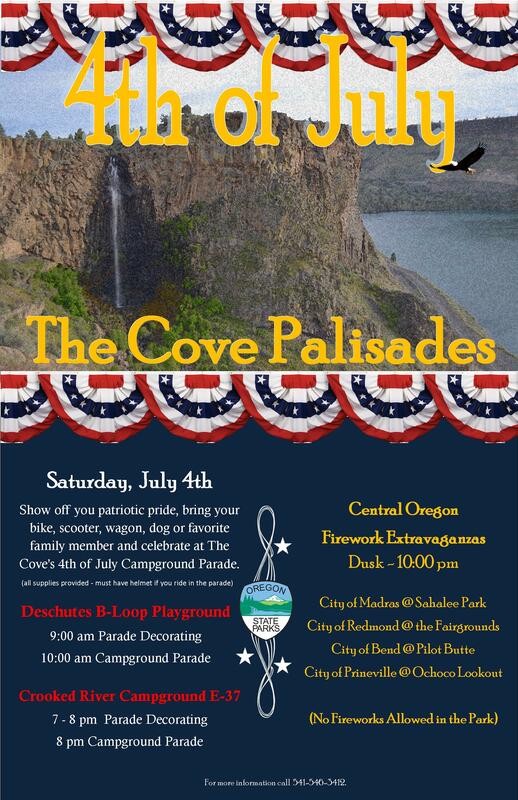 Friday, July 31 – If you are visiting the Cove Palisades, we will have a blue moon interpretive program at the Crooked River Amphitheater at 9 pm with telescope viewing and a night hike starting at the Deschutes Camp Coyote Amphitheater at 8:30 pm. There is a new adventure in Central Oregon guaranteed to get your blood pumping! 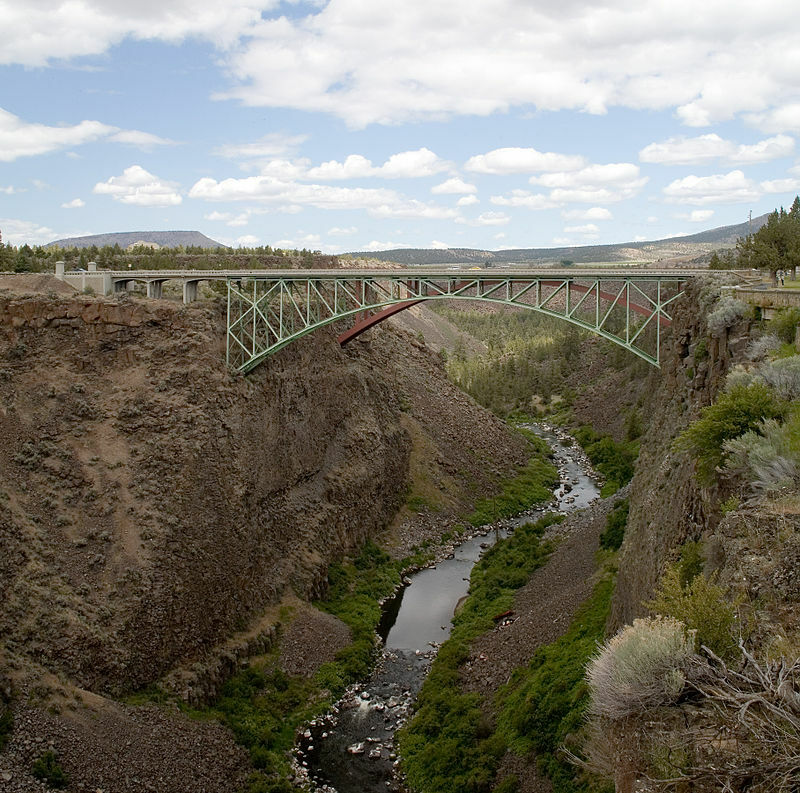 High above the Crooked River Gorge visitors will be able to jump from the historic High Bridge located at the Peter Skene Ogden Wayside between Terrebonne and Culver. 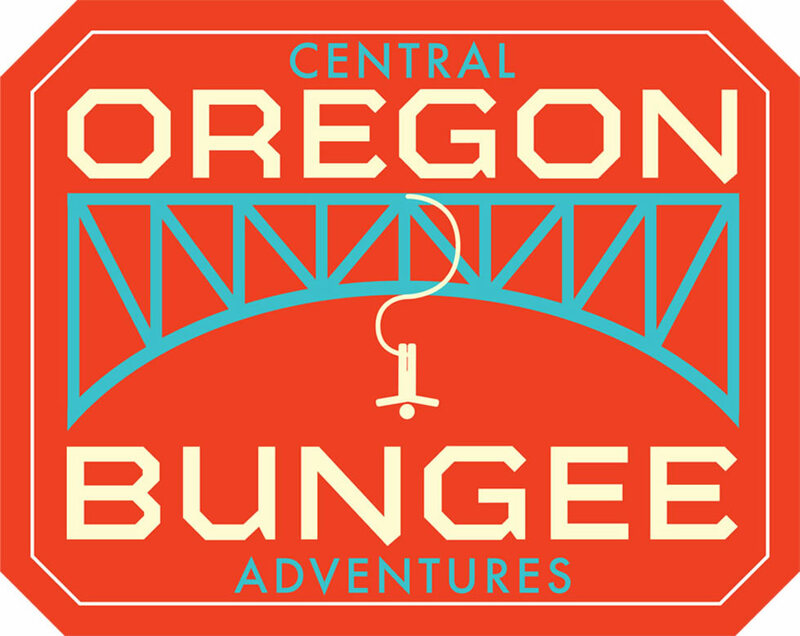 Central Oregon Bungee Adventures will be securing its bungee cords to a truck with a custom-built platform that extends out over the western edge of the High Bridge. This beautiful spot allows jumpers to experience a drop of more than 200 feet, then be reeled back in. If you are worried you’ll miss the scenery as you hurdle through the air, screaming at the top of your lungs, don’t worry, photos and video of your jump will be available when you are back on solid ground. The upper part of the Crooked River Gorge is made of 300 foot columnar basalt cliffs eroded by the Crooked River since the Newberry volcanic eruption 1.2 million years ago. Due to the river, there is a semi-lush feel to the gorge even in the summer time when temperatures can soar over 100 degrees. There is a variety of wildlife including deer, rabbits, hawks, osprey, eagles, and vultures. You can see both Mount Jefferson and Mount Hood from the park. It is a beautiful place to take photographs or watch the sunset. Oregon Parks and Recreation Department operates the Peter Skene Ogden State Scenic Viewpoint, including the historic High Bridge. Designed by Conde B. McCullough 1926 , the steel arch bridge has a total length of 464 feet with a main span of 330 feet. The deck is 295 feet above the canyon floor. It has been restricted to pedestrian use only since traffic on U.S. Highway 97 moved to the Rex T. Barber Veterans Memorial Bridge just to the east in 2000. David Slaght, manager of the viewpoint for OPRD, said he rejected more than two dozen requests for commercial bungee jumping from the High Bridge before Scott approached him. “I think he’s a very intelligent guy and came to State Parks with a very intelligent proposal rather than just an idea up front,” Slaght said. Under the agreement between Scott and the State, Scott will pay 5% of his revenues to OPRD. Slaght said his department plans to re-evaluate the agreement at the end of next summer, and decide if bungee jumping should continue at the site. Elks breakfast 7 – 10 am. Parade begins at 10 am. Entertainment, Music, Food, and Fun for the whole family 11:30 – 2 pm. 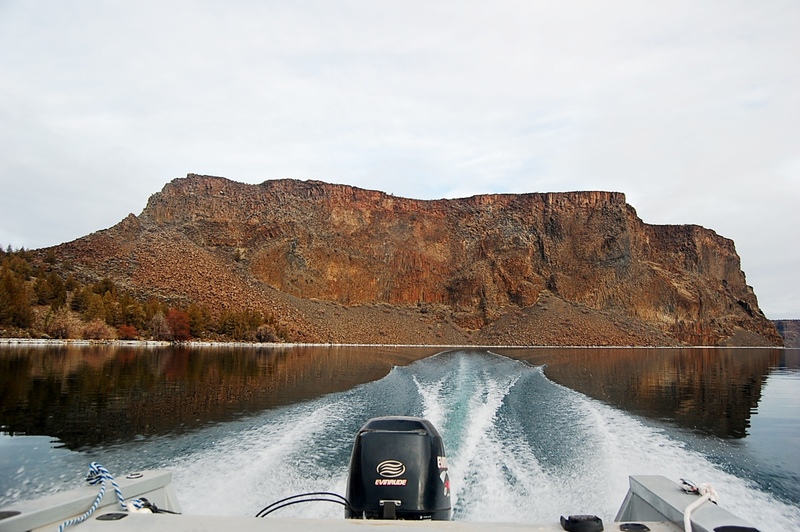 Culver OR – The Oregon Health Authority has lifted their June 25 water quality advisory for Lake Billy Chinook (http://tinyurl.com/billychinookwater). 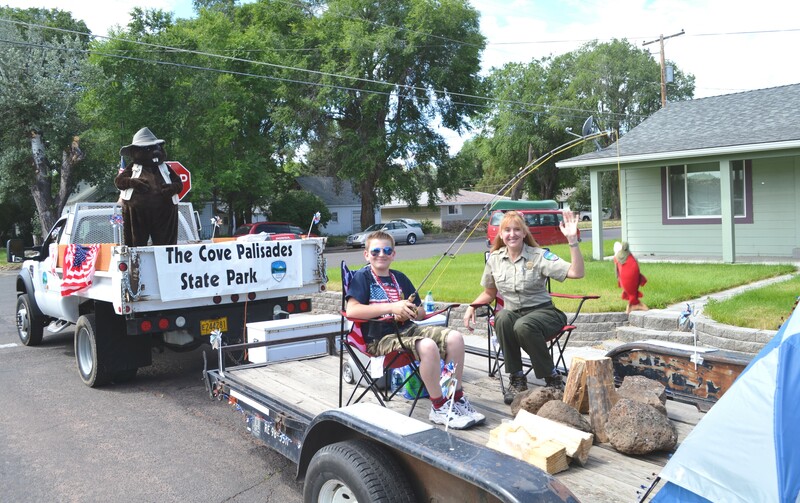 The Cove Palisades State Park has some campsites remaining for Thursday stays, but the holiday weekend is booked. 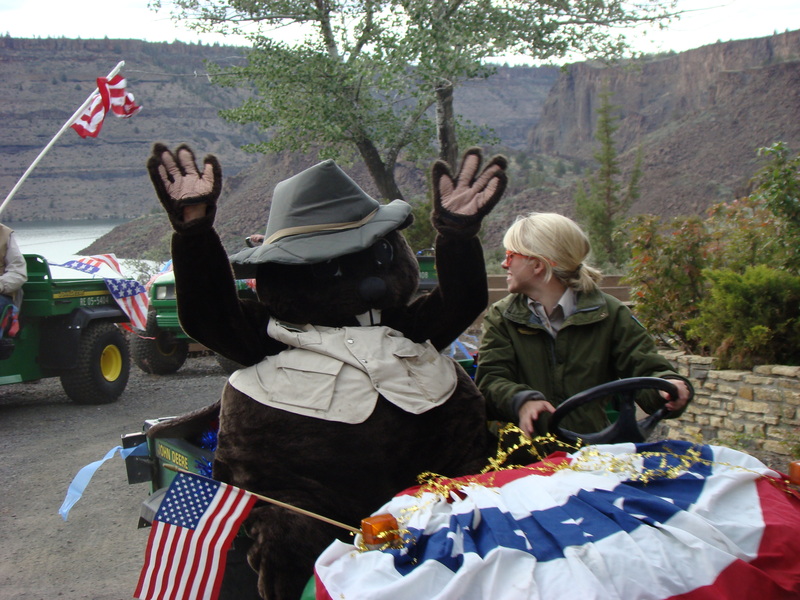 The park receives more than 77,000 campers and 400,000 day visitors a year. Personal watercraft, ski boats, pontoon boats, party barges, kayaks and paddle boards are all available for reservation and rental through summer, even for the holiday weekend and other prime dates, from the full-service marina (http://covepalisadesresort.com/). The marina also has houseboats sleeping 6-14 people ready to rent. Call 541-546-9999 ext. 2 for more information.